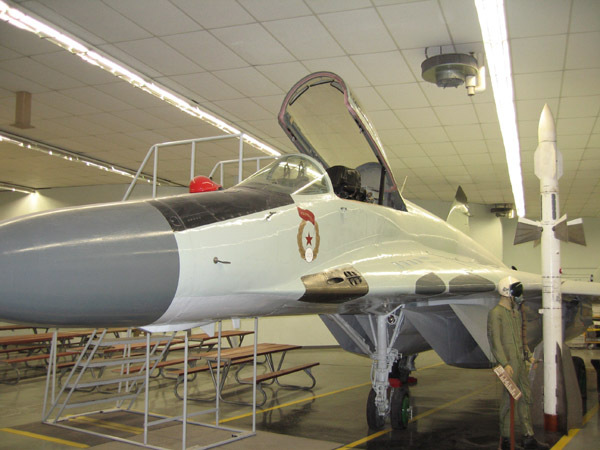 First entering service in the early 1980’s, the MiG-29 Fulcrum was the product of the Soviet Union’s programme to develop a new fourth-generation tactical fighter. 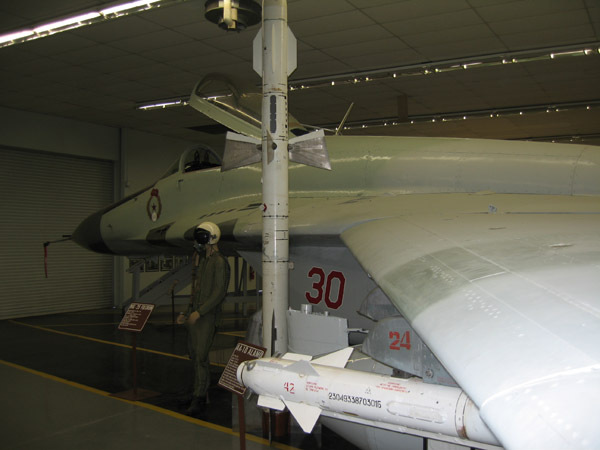 Given the go-ahead in the late 1970’s the Fulcrum became the “light” fighter in a new light/heavy mix alongside the Su-27 Flanker, drawing parallels to the US F-15 Eagle/F-16 Fighting Falcon hi-lo mix that had also arisen in the early 1970s. Whilst taking an early head-start in the export stakes for both the Soviet Union and Russia, in recent years it has been overshadowed by developments of its heavy rival, the Su-27, and greater access to the F-16 in export markets. Today only a handful of advanced SMT variants continue to be delivered whilst India awaits its carrier-borne MiG-29Ks in the next few years. 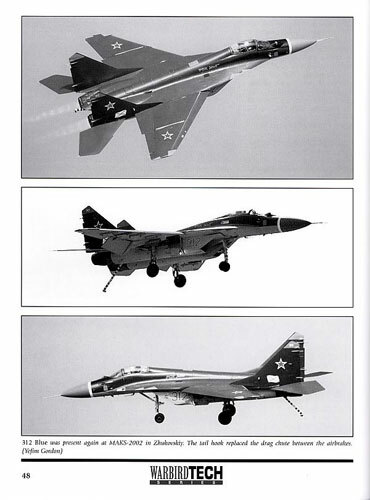 Volume 41 of the Specialty Press Warbird Tech Series sees Yefim Gordon, again working with Peter Davison, produce a useful reference work on the type, given the recent release of the Trumpeter 1/32 MiG-29M and foreshadowed MiG-29K. With Gordon, who is a regular contributor to the Red Star Series and Aerofax imprints of Midland Counties, as one of the authors, it comes as no surprise to find the chapters broken down in a similar way to these series. Chapters on genesis, design, development and variants form the first half, whilst ones on the MiG-29K, service history and exports form a substantial bulk of the volume. As always Gordon includes contemporary photographs of the type in service and often comments on the camouflage and markings development of the respective users. The final three chapters detail the MiG-29 in comparison with its Western contemporaries the F-16 and F/A-18, a detailed examination of the airframe with many close-up photos and a look a at the future of the type. 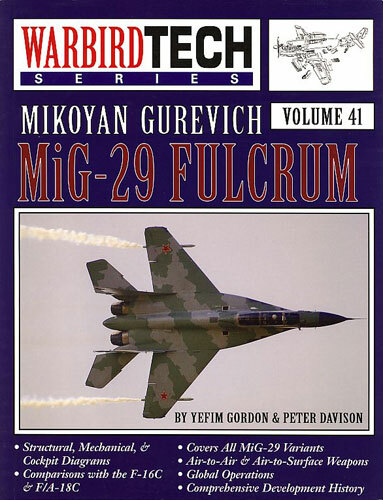 It is interesting to read this chapter as for a while the future of the MiG-29 and Mikoyan Gurevich as a going concern seemed in doubt in the late 1990s. Now however it looks like India will save the day, not only with 60 odd MiG-29K carrier aircraft but also possibly upgrading around 150 MiG-29 Fulcrum As to SMT standard. Concluding the book is a useful look at modelling the MiG-29, which is of direct interest to those who will use the book as a reference for a scale replica. 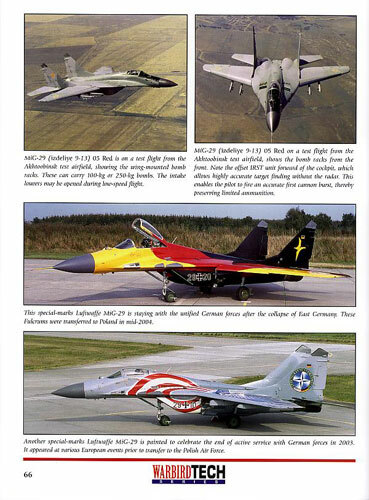 Richard Marmo looks at the history of MiG-29 models from Revell’s 1/32 effort through to Academy’s 1/48 kits commenting on accuracy and buildability. Unfortunately it was written before the new Trumpeter 1/32 kits arrived so it does not address them. Yet again this Warbird Tech volume is of very high quality and a worthy investment for modelling reference. The book will serve both history buffs and modellers well. Thanks to Karin of Specialty Press for the review sample.